Please note that as of July 2012, I am no longer the department head of Linguistics and the AEI. For Linguistics concerns, please contact Scott DeLancey (delancey@uoregon.edu) and for AEI concerns, please contact Doris Payne (dlpayne@uoregon.edu). Pederson, E. 2013. “The Kurumba Languages” in Encyclopedia of the Nilgiri Hills, Vol 1. Paul Hockings, ed. New Delhi: Manohar Books; Walnut Creek, CA: AltaMira Press. Pederson, E. 2012. The expression of space across languages. In: C. Maienborn & K. von Heusinger & P. Portner (eds.). Semantics. An International Handbook of Natural Language Meaning. Vol. 3. Berlin: de Gruyter, 2608-2624. Bohnemeyer, J. and E. Pederson, eds. 2011. Event Representation in Language and Cognition. In the series “Language, Culture, and Cognition”. Cambridge University Press. 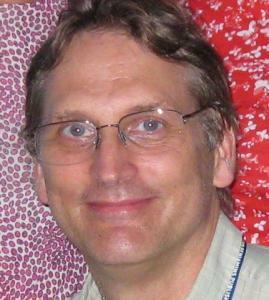 Pederson, E. 2010. “Linguistic Relativity” in The Oxford Handbook of Linguistic Analysis. Bernd Heine and Heiko Narrog, eds. Oxford University Press: 733-752. Davies, C. and E. Pederson. 2001. “Grid patterns and cultural expectations in urban wayfinding” In Daniel R. Montello, ed. Spatial Information Theory: 400-414. Berlin: Springer-Verlag. Refereed. Danziger, E. and E. Pederson. 1998. “Through the Looking Glass: Literacy, writing systems and mirror image discrimination.” Written Language and Literacy 1(2): 153-164. Refereed. Pederson, E., E. Danziger, S. Levinson, S. Kita, G. Senft, and D. Wilkins. 1998. “Semantic typology and spatial conceptualization.” Language 74(3): 557-589. Refereed. Pederson, E. 1995. “Language as context, language as means: Spatial cognition and habitual language use.” Cognitive Linguistics 6(1): 33-62. Refereed. Pederson, E. 1993. “Geographic and manipulable space in two Tamil linguistic systems.” In Andrew U. Frank and Irene Campari, eds.. Spatial Information Theory: 294-311. Berlin: Springer-Verlag. Refereed.